"You live to serve me...never forget that." From the dawn of time he came, moving silently among us... well almost! Methos was born over 5,000 years ago (that was when he took his first head) "It all gets a bit fuzzy before that," he comments. 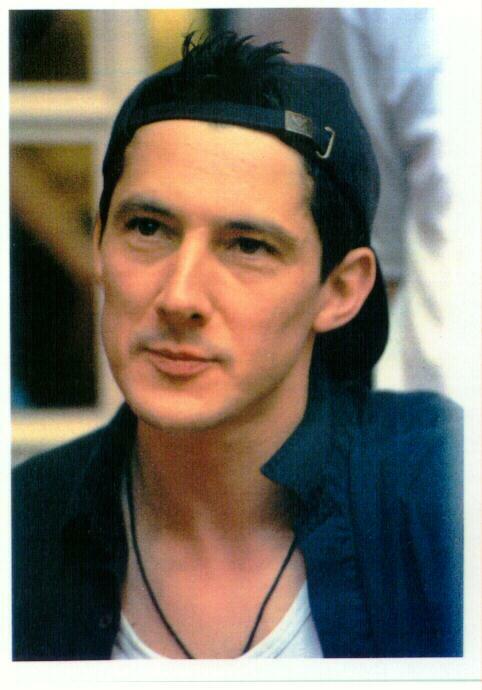 Methos, honey, let me write it, okay? Ahem...He has been many things in his very long life, "lawyer, doctor, indian chief, whatever you need." Now, where was I. Methos is a real cutie now, "Cute? I can do cute." But he hasn't always been the mild-mannered Watcher we all came to know and love. He was once one of the four horsemen of the Apocalypse- "Death"- along with Kronos, Caspian, and Silas. "Gives a new meaning to the phrase 'Dream Team'." However, he's reformed his evil ways...maybe. 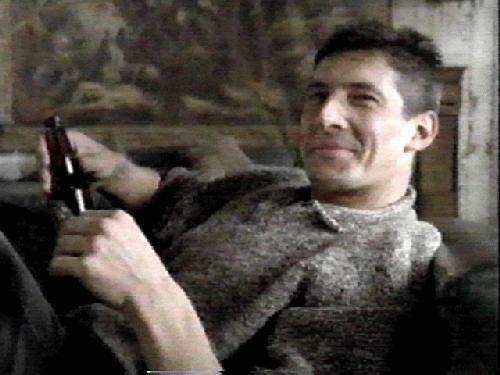 Methos' favorite drink is beer. Before beer, he drank meade. Doesn't he look adorable drinking? 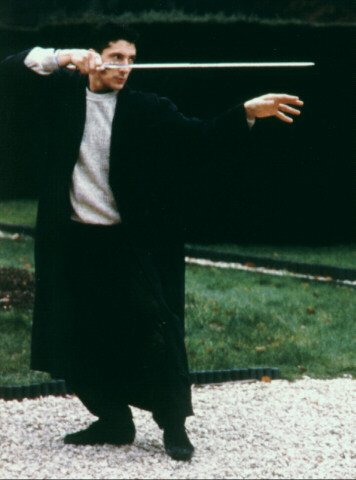 His favorite sword is his Ivanhoe. Methos' current best friends (besides *me*) are Duncan and Joe. See what friends do to you? Can't complain, though, blue is his color. 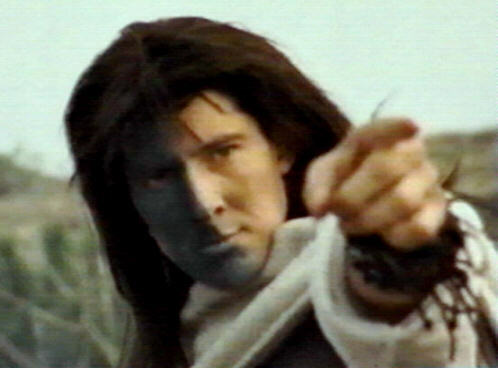 Want to join the Methos Web Ring? The blue frosting has been iced times.